Completely updated ranch nestled in a beautiful country setting. 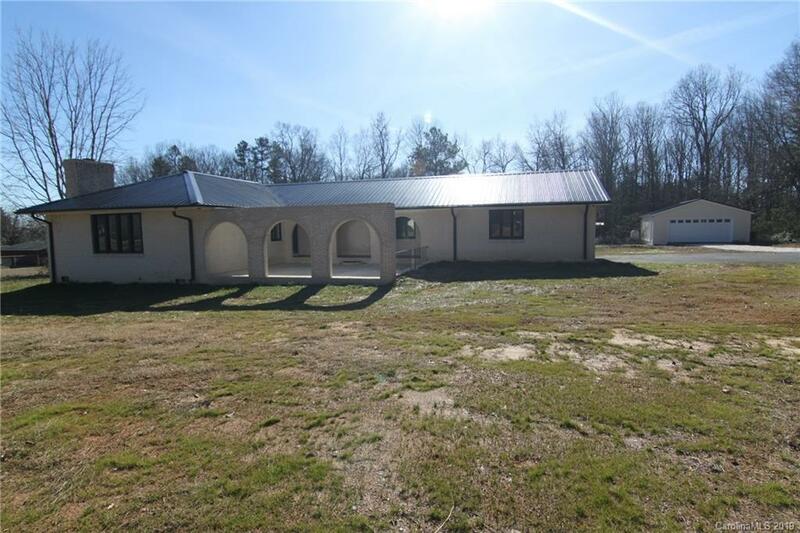 Sits on over an acre with 2- 2 car garages. Home features - all new flooring, fresh paint, new light fixtures, new hardware, new hvac, new roof, new gutters, new electrical, new garage doors & openers, new covered deck. Kitchen & living room have beautiful wood tile flooring. Oversize living room with masonry wood burning fireplace. Large kitchen with new tile backsplash, granite countertops, new appliances, wine fridge, & eat at island. Guest room has double closets. Spacious master bedroom features walk in closet & private master bathroom. Master bathroom has large vanity sink, industrial looking light fixtures, wood tile floor, new hardware. Move in ready home in USDA area.